More than $11 million worth of medicines have arrived in Syria and will be distributed to more than two dozen health facilities and hospitals. The 3.5-ton shipment contains antibiotics, medicines to manage chronic diseases like high blood pressure, mental health medications, and contraceptives, all specifically requested by the Syrian American Medical Society. 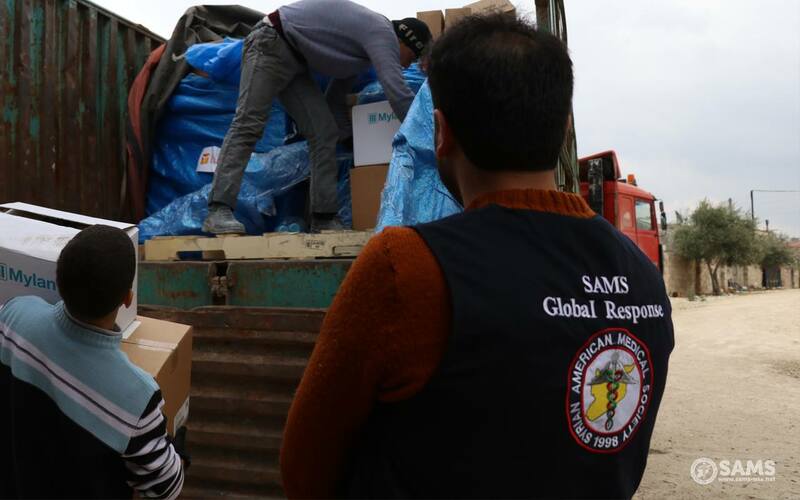 SAMS will be distributing the medicines to 25 facilities, primarily in the northern Aleppo area of Syria. SAMS is Direct Relief’s largest partner organization working inside Syria, and the organization posted last week that hospitals they support in the Ghouta area of Syria, which has been under siege, have been receiving patients injured in the conflict. Throughout Syria, hospitals and health centers have been targeted, resulting in numerous casualties. Between March 2011 and December 2017, 492 attacks on health facilities were reported, according to Physicians for Human Rights. Throughout the conflict, Direct Relief has been working to support these health centers with medicines and supplies. Last year, a deadly Sarin gas strike in Idlib Province prompted a request from SAMS for antidotes against nerve gas agents as well as personal protective gear. In response, Direct Relief shipped more than 10,000 doses of antidote. Shipments of essential medicines from Direct Relief will continue, and midwife kits will also be sent to Syria in the coming weeks. Each kit contains items like surgical instruments, sutures, I.V. sets, neonatal resuscitation bags, headlamps, gloves, and cord clamps. The kit also includes pharmaceuticals such as misoprostol to manage post-partum hemorrhage and magnesium sulfate for eclampsia. Since the start of the crisis in 2011, Direct Relief has delivered over 180 tons of medical aid, valued at $87 million, to approximately 30 healthcare organizations providing critical care to Syrians across eight countries. The effort constitutes one of the largest and longest-sustained emergency response efforts in Direct Relief’s 70-year history.